Earlier today, Adobe unveiled what might be the future of pricing schemes for their famous Creative Suite product line which includes programs such as Photoshop. The changes come along with the announcement of a mid-cycle version 5.5 upgrade to Creative Suite which focuses on mobile platforms, HTML5, digital publishing, and much more. Moving forward, Adobe plans to introduce major revamps to Creative Suite every 24 months. The company will also roll out minor upgrades half way through the two-year long cycle. The new subscription plan aims to offer more flexibility for potential customers who only need access to Creative Suite 5.5 on an irregular basis. A full version of Photoshop alone retails for around $670 and the new pricing plan would bring the cost down to $35 per month. It may sound lucrative for a time-to-time users, but keep in mind that paying every month adds up to $420 a year. Paying subscription costs for two entire years is $840, which is more than the upfront cost and is about when Adobe will launch the next major version. For those looking for the entire package, Creative Suite retails for a whopping $2,600. New customers now have the option to pay $129 per month when needed, but regular users will end up spending $1,548 in a year and $3,096 in two years. Not exactly an ideal pricing plan. The Web Premium Suite brings HTML5 additions and Adobe Flash authoring tools. These features will let developers add support for Android, BlackBerry, and iOS platforms in addition to compatible browser-based content. Adobe even claims that the latest Flash Builder and the Flex framework will make it easy to deploy their apps to over 200 million smart phones and tablets by the end of 2011. InDesign CS5.5 will let designers add audio, video, panoramic views, 360-object rotations, and much more to documents. The Photoshop Touch SDK makes it possible to create mobile apps that interact with the Photoshop on the go. Creative Suite 5.5 Production Premium offers new workflow improvements, new audio editing capabilities, and improved GPU hardware rendering support. 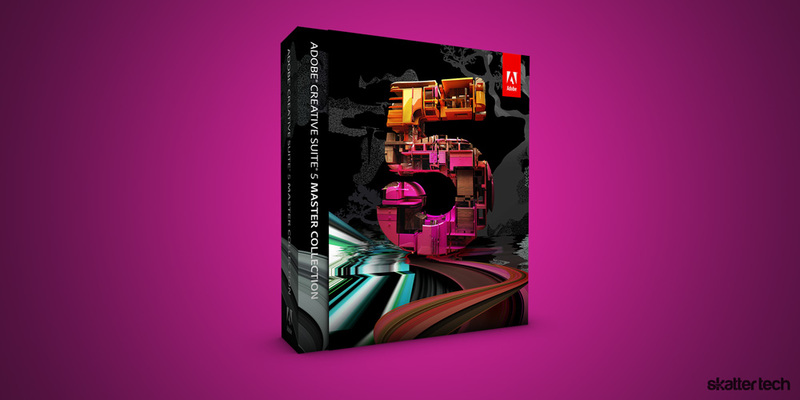 While the new Creative Suite 5.5 features are a welcome addition, Adobe truly dropped the ball on pricing. Lowering the cost of entry might sound great, but anyone with a calculator will quickly realize the true cost of ownership. In my opinion a better pricing scheme would actually bring more paying customers. Sure, there are solutions such as Photoshop Elements, but it really does not do justice for average users. These premium products are constant victim to piracy with cracked versions available through popular BitTorrent trackers. As student from a college campus, I can readily testify to the hundreds of people running illegally obtained copies. With open source alternatives such as GIMP and simple web-based solutions such as Picnik on the rise, there are fewer reasons average consumers need these pricey applications. If Adobe hopes to go beyond industry professionals, they need to make some changes to their business model soon.